The process may take from a couple of minutes to several hours, depending on the size of the Virtual Encrypted Disk you are creating and the speed of the host drive. 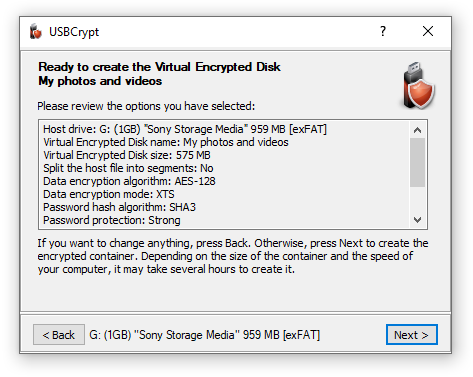 For the large or slow drives, you can pause the encryption process and resume it later, if you need to allow some other program to use the full processing power of your computer for a period of time. Next step: The Virtual Encrypted Disk is ready for use!